It’s finally Fall, which means it’s finally time to cook some fall-related food. Not that I actually pay attention to cooking appropriate foods for the time of year, but at least this time when I went to the store, I didn’t get weird looks for trying to find pumpkin pie spice in July. This dish is amazing and went well with a kale salad and some hard cider. More specifically, the woodchuck fall cider is amazing if you can get your hands on some. The angry orchard cinnful apple cider is amazing too. OH and if you haven’t tried “The Saint” by Crispin you’re missing out. Anyway this post is about food. I’ll digress into cider in another post. This is a saute that is a delicious mixture of sweet, savory and spicy. The ingredients are actually pretty simple, and it’s really easy to play around with serving sizes or spice/apple/sausage ratios. It doesn’t take much time or experience to make, and the result is really really tasty. I might try adding in other things to this saute, but I’ll let you know if I find anything exciting. For now, we’ll stick with the basic recipe. 1. Peel, quarter, and dice the granny smith apples into large chunks. 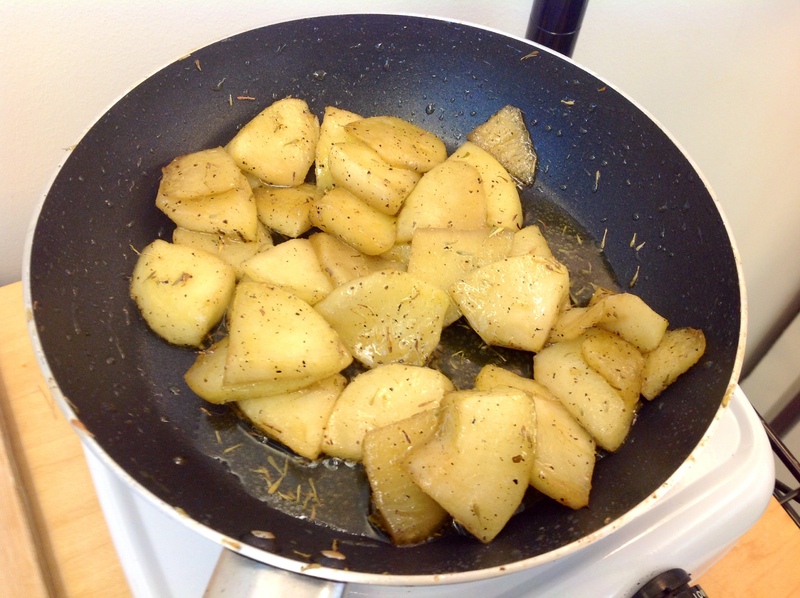 Season with the black pepper, syrup and thyme in a bowl and set aside. 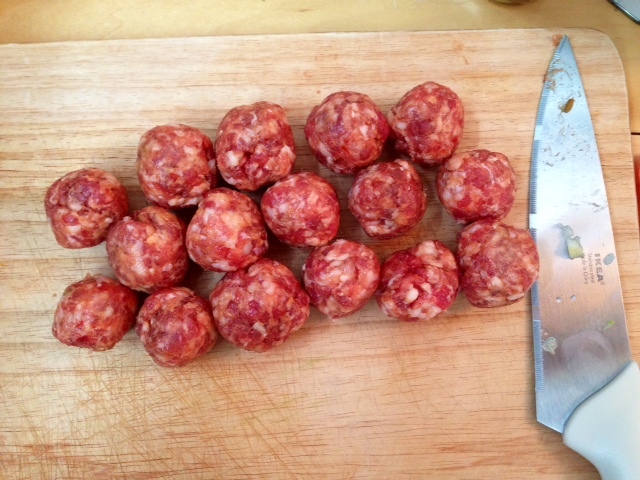 Sausage balls =) It’s an easy way to make spicy meatballs too! Note: I made a smaller serving. If you’re using the whole package of sausage you will have a lot more sausage balls. 3. 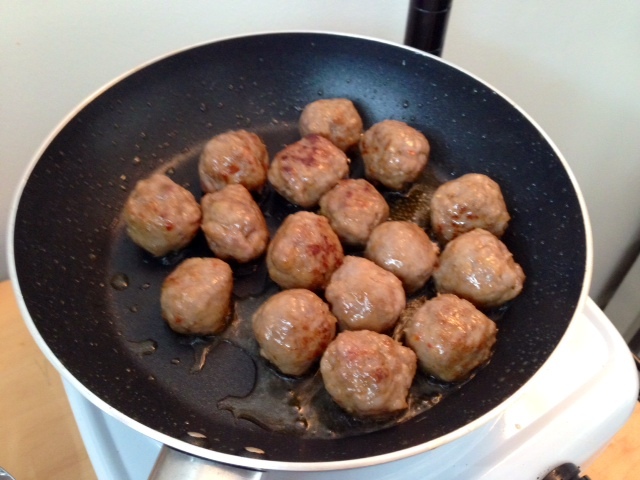 Add the olive oil and sausage balls to pan on medium heat and brown them. Then let them cook a bit more. 4. Remove the sausage and set aside, but leave that juicy goodness in the pan. Add the the seasoned apples. 5. Cook the apples, stirring constantly, until just soft. This will take around 15 minutes. 6. 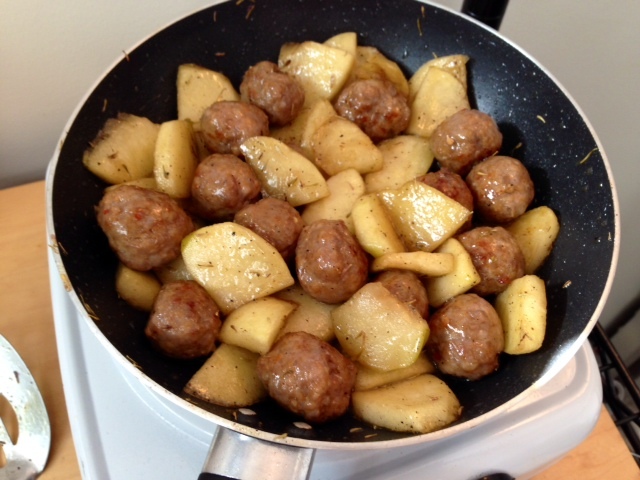 Return the sausage to the pan and toss with the apple until the sausage balls are heated and cooked through.